Parla is the new collaborative project from universally renowned producer and songwriter Guy Sigsworth (Björk, Madonna, Imogen Heap and most recently Alison Moyet) and critically acclaimed vocalist Richard Walters. Sigsworth and Walters were first introduced in 2004, with the producer setting to work fleshing out skeletal song ideas brought in by the then emerging singer-songwriter. Almost a decade later, the partnership reconvened and set about writing and recording the songs for what would become the debut album by Parla. The duo are offering a first listen to some of the work that has been created in their London studio over the last year beginning with a cover of American Music Club’s, I’ve Been A Mess. The folk-rock styling of the original is rather timeless with its organic instrumentation and, of course, Mark Eitzell’s gorgeous, heartfelt vocals. But what Parla do here is really quite special. Talk about taking a song and making it your own, Parla effortlessly transform I’ve Been A Mess into a gorgeous and moving pop number not unlike say the more downtempo material from Keane. Accentuating the song’s melancholic hues, the duo changes the instrumentation from guitar and drum brushes to warm synth pads and electronica beats. In terms of timbre, Walter’s vocals are almost the opposite of Eitzell’s raw and slightly gruff vocals, offering fragility and tenderness. As one might expect, the production is, of course, top notch and its airy qualities give the song a graceful flow. Parla marks a very special restart for two artists, both with the gift of hindsight and experience, wielding their talents like masters at the top of their game. 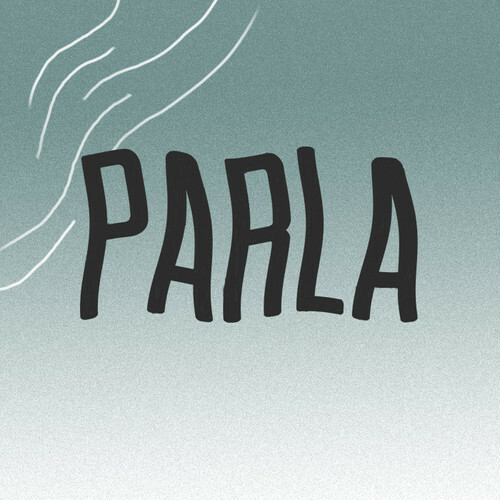 At the time of posting, Parla are giving away the track as a free download.